Its easy to connect with other fishermen, follow friends, comment on photos and check-in at your favorite fishing piers. Discover new fishing spots, find the closest tackle shop and take advantage of exclusive offers available to Fish Whisperer app users. Alive was coded to take the top of Google search results. It has everything what it needs to make your product easy to find. You'll love it. Just take a look. Alive was design to be loved by people. It's not only beautiful, it's also very user friendly, thanks to UX test we made. Any questions? Requests? Ideas? We'd love to hear from you. You're stuck? Just drop us a line. We'll replay as soon as possible. You want your visitors to stay connected? Use alive theme dynamic modals to make them register and login easily. Build your community! Gather e-mail addresses of you visitors, without editing a single line of code! Paste your e-mail address to get a line from your visitors. For your apps, products and more! Alive theme gives you almost endless possibilities to present your app, products or event startups. In just few minutes! Some Guys Catch All The Fish! Show your friends that your fish tales aren't always fishy! 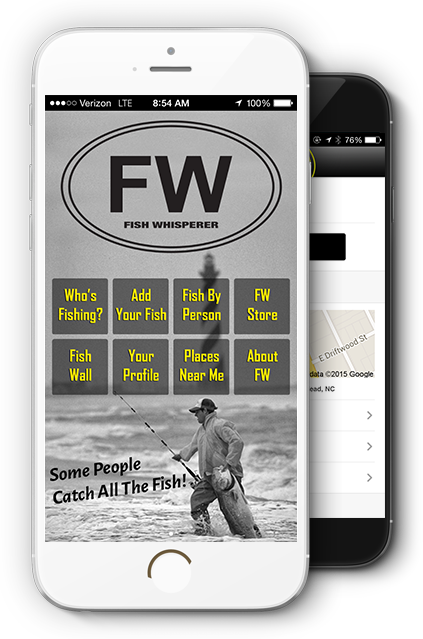 The Fish Whisperer is a unique social network app built exclusively for fisherman. 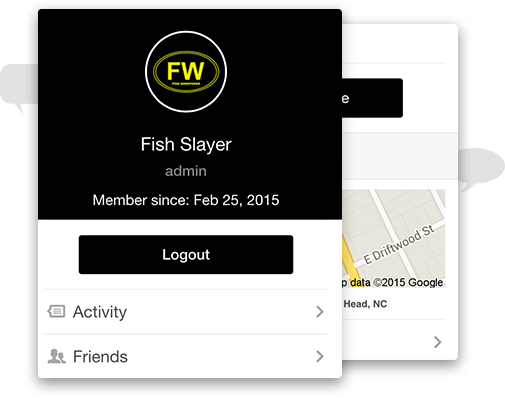 Our app based community makes it easy for you to show off your fishing skills, follow friends, find local fishing spots and buy FW gear. Post and tag photo's of your catch right from your phone. Like and comment on friends photos and see exclusive offers from local fishing piers and businesses. Thank you for your interest in FW, we'll reply when we get back from fishing. Please chceck the fields and try again.